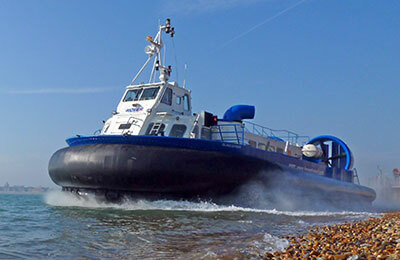 Hovertravel is the fastest way to go from Portsmouth to the Isle of Wight. 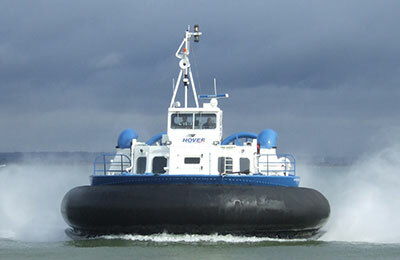 Book Hovertravel today with leisuredirection.com – Hovertravel route from Portsmouth to Ryde available to book. Hovertravel hovercrafts run 40 times a day from Portsmouth (Southsea) to Ryde on the Isle of Wight. The crossing takes just 10 minutes. 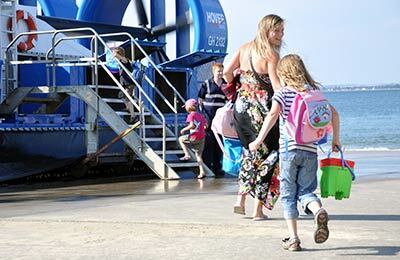 Hovertravel also provide a bus service connecting the arrival pier at Southsea to and from Portsmouth Harbour, Gunwharf Quays and Portsmouth and Southsea City Centre. What is included in the Hovertravel price? The price you are quoted is per passenger. There are no onboard accommodation. Pets must be carried in RSPCA approved pet carriers or restrained by a harness/collar and lead whilst on board, and kept on the floor in the passenger area, not on the passenger seats. Owners are also requested to please ensure that their pet does not cause a nuisance to other passengers. Pets can travel free of charge on the hovercraft. To allow for 'calls of nature', customers are recommended to allow sufficient time to exercise their pet before boarding the hovercraft.